Blue eyes. Baby’s got blue eyes. Doo doo doo doo, doo doo doo. Like a deep blue seaaaaa…. All right, all right! We’ll stop singing. Put the broom down. 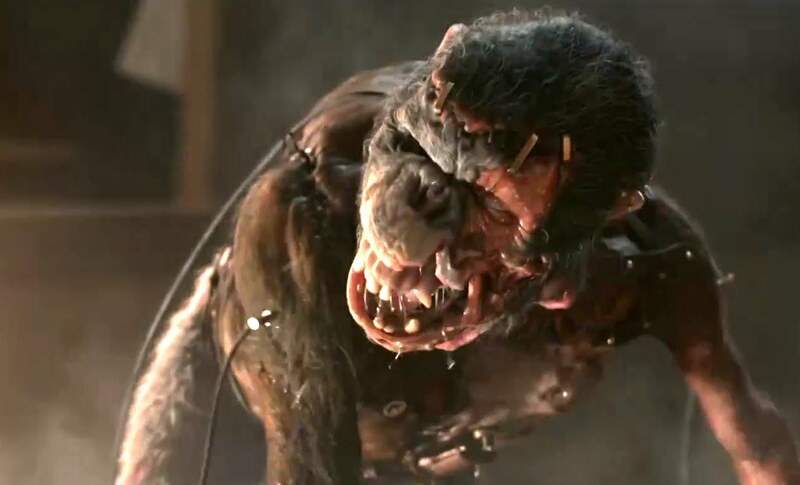 “Victor Frankenstein” (2015). Directed by Paul McGuigan. 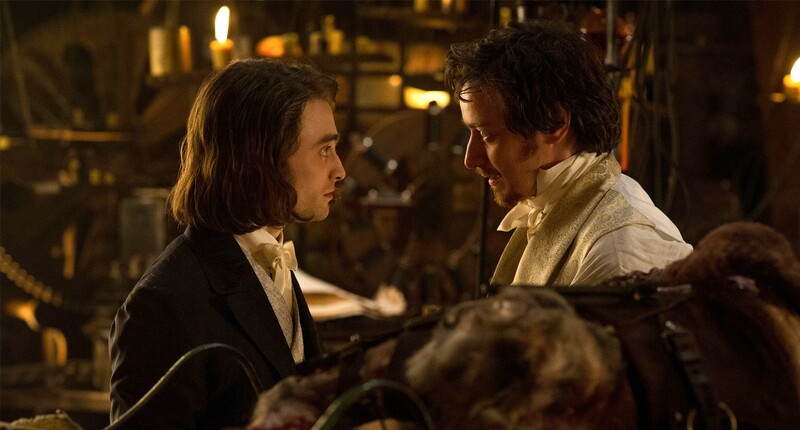 Starring Harry Potter (Daniel Radcliff) and Professor Charles Xavier (James McAvoy). 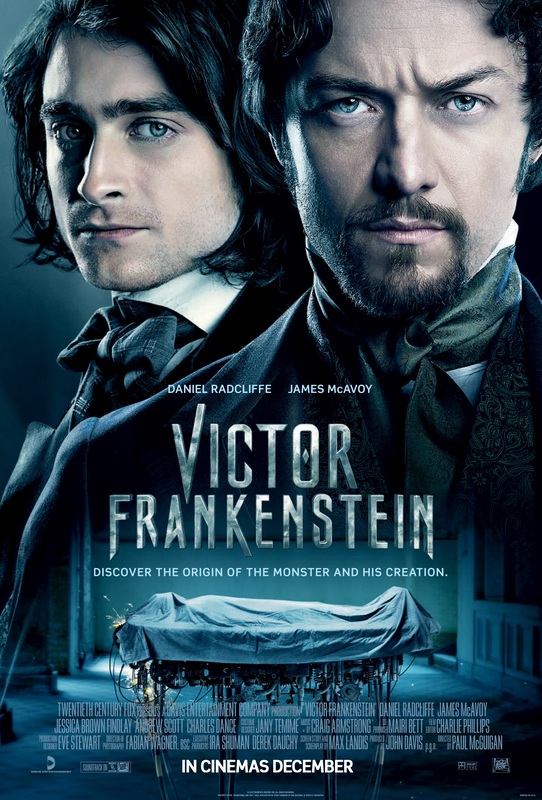 Eponymous Viktor Von Frankenstein befriends anatomy expert and circus freak Igor the Hunchback and crazy hijinx in posthumous revivications occur. They create a monkey monster and some creature that hates fire and is 8-feet tall with green skin. So begins “Victor Frankenstein,” a flawed but still engaging riff on the legend born in Mary Shelley’s 1818 novel, “Frankenstein.” Rather than focusing on the monster stitched together in Victor’s laboratory and its tragic life after creation, this new take follows Victor and his new bestie Igor Straussman as they challenge the limitations of the medical world of 18th century London. It’s a mixed bag as a film, much like the odd beings that emerge from Frankenstein’s work. At the outset, we meet a hunchbacked circus clown born without a name and made a virtual slave to Lord Barnaby, who runs the big top. Nightly, he is savagely beaten during comedy skits by other higher ranking performers, who mock his passion for researching and sketching human anatomy. He loves Lorelei, a daring and beautiful trapeze artist who suffers a brutal fall during an act. The hunchback rushes to her aid and sees her body as an anatomical sketch from one of his books, and diagnoses the problem. He is joined in his heroics by an audience member, a skilled and impassioned medical student named Victor Frankenstein. Together, they save Lorelei’s life. 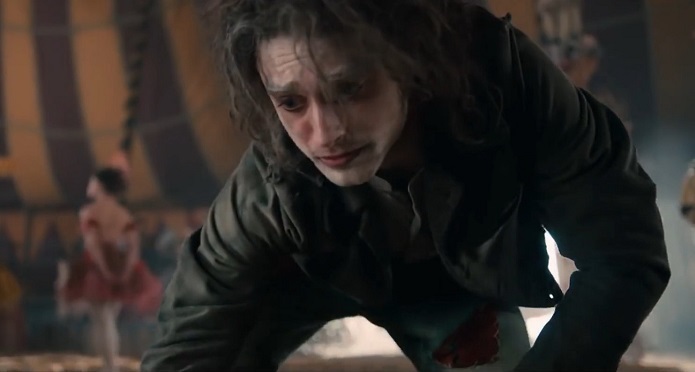 Oh, such a look of torture and angst on hunchback Igor’s pretty face. Someone give him a puppy, and a hug. Victor declares that the melancholy clown is wasting his life being thrown into the muddy ring for an audience’s laughter. He sees in this battered, pathetic man the makings of a fine surgeon: steady hands, improvisation, calculated risk taking, etc. Frankenstein returns to the circus the night after and frees the hunchback from the cage of his old life. Also, an actual cage. In the process, circus thugs accidentally kill one of their own and later blame it on the escapee hunchback. Enter Scotland Yard Inspector Turpin, who pursues Frankenstein and is easily the worst aspect of the film. Villagers with torches are one thing. A yawn inducing subplot about a steely eyed cop hunting down men that we already know are innocent is another. In Victor’s rather large and well-appointed flat, the med student immediately operates on his new friend and cures his hunchback with science! Now able to walk with an upright posture thanks to a torturous looking back brace, the nameless clown gets a moniker. He is to be called Igor after a missing roomie of Victor’s. After a shower and a shave, voila! Igor is a gentleman about town who strongly resembles The Boy Who Lived from those old Harry Potter flicks. Igor’s transformation seems like a riff on the Ugly Girl Takes off Her Glasses, Lets Down Her Hair and is Suddenly a Stunning Beauty cliche. Igor begins romancing the gorgeous Lorelei as soon as she is free of the grim purgatory that hospitals of the era are shown to be. Meanwhile, Igor is earning his keep by working on individual animal organs using hand-cranked electrical generators and a device called The Lazarus Fork. Greatest band name ever. 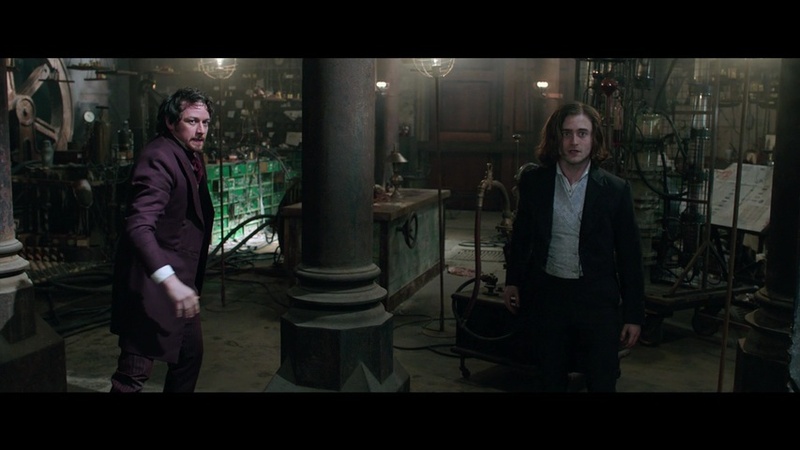 Victor spends a great deal of time in the basement, where Igor is forbidden to go. But he goes indeed and meets Gordon, a hybrid monster made from the corpses of a chimpanzee, deer, cheetah and other animals. He has a battery embedded in its neck that is designed to soak up a charge from the Lazarus Fork. Gordon, who looks and acts like a nightmare you had about an undead steel-fanged monkey in the backseat of your car, is my favorite character in the film. Who’s a good boy? You are! Such a cutie patooty. Mwah! At the Royal College of Physicians in London, the pair unveils Gordon to a small group of students, most of whom leave in disgust when the electrified creature belches out a cloud of flies that then gather on its partially skinless anatomy. When Gordon sits up and begins to look alive, one of the gathered medical students shows more than a little interest. Gordon is alive! He’s alive! He is Finnegan, an insanely wealthy heir looking for some way to make his mark in the field. Even when Gordon promptly goes bonkers, runs around dragging tubes and wires and tries to maul Igor and Victor, Finnegan is not dissuaded. He offers to bankroll the next step, and Frankenstein is over the moon with the idea of a fully funded and much more ambitious experiment. It is decided that they’ll create a man this time, a man with two hearts and two sets of lungs to better process the energy needed to bring him to life. Due to his doubled organs, he will have to larger in stature than your average fellow. Victor gets a visit from his aristocratic father, who tells him he’s a failure. After that jerk leaves, Igor opens up some whiskey and they plan the internal anatomy of their man. Meanwhile, the humorless Inspector Turpin draws closer and finally strikes. In the encounter, his hand is pulled into a gear in Victor’s basement lab and severed. Igor and Victor flee to Finnegan’s estate. Finnegan offers Victor the use of an ancestral castle on a Scottish moor to complete his work. After the near murder of an Inspector, Igor wants out. He stays in London as Frankenstein heads to Scotland with a team of workers. Finnegan reveals his evil plan and orders Igor killed. Does our favorite former hunchback survive? And what of the creature birthed as a result of Frankenstein’s most famous experiment? Did losing a hand stop Turpin? You’ll have to see for yourself. Aside from the buddy cop aspect of the Victor/Igor relationship, the film’s ultimate treatment of Frankenstein’s monster is the greatest deviation from the source novel and the previous cinematic adaptations. James McAvoy and Daniel Radcliffe are entertaining and have decent bro chemistry, but the screenplay feels slightly rushed and undeveloped. 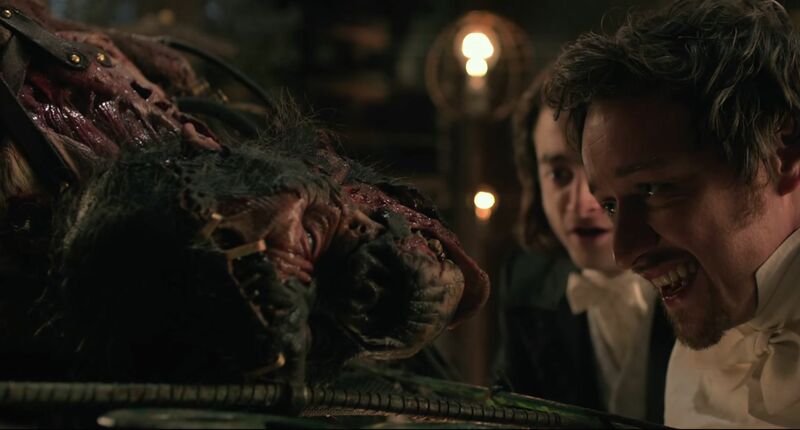 “Victor Frankenstein” needed to focus less on being a thriller and more on the science of the era, on Victor’s wild thought processes and creations. It had the unassembled pieces of a greater film, though it’s still light years ahead of Kenneth Branagh’s dismal 1994 version of the dark tale. Tagged Daniel Radcliffe, Frankenstein, Frankenstein's Monster, Igor the Hunchback, James McAvoy, Mary Shelley, Victor Frankenstein, Victorian London.